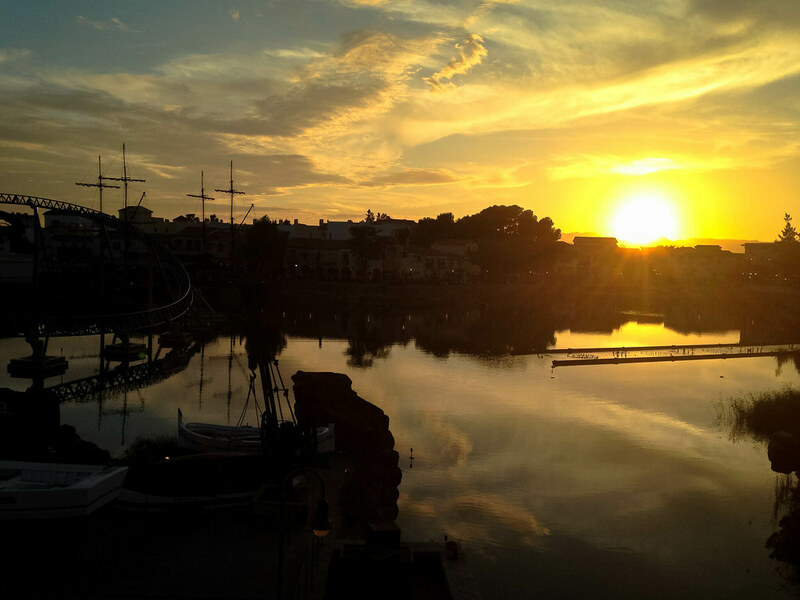 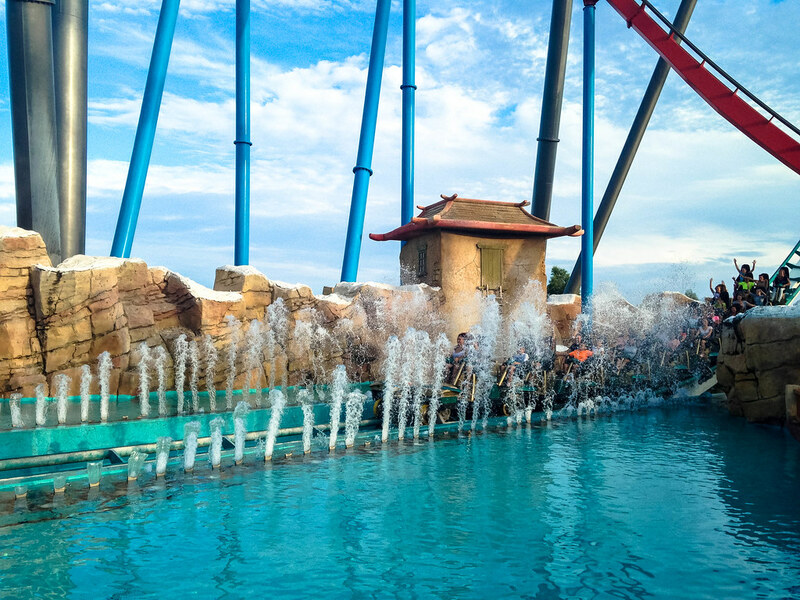 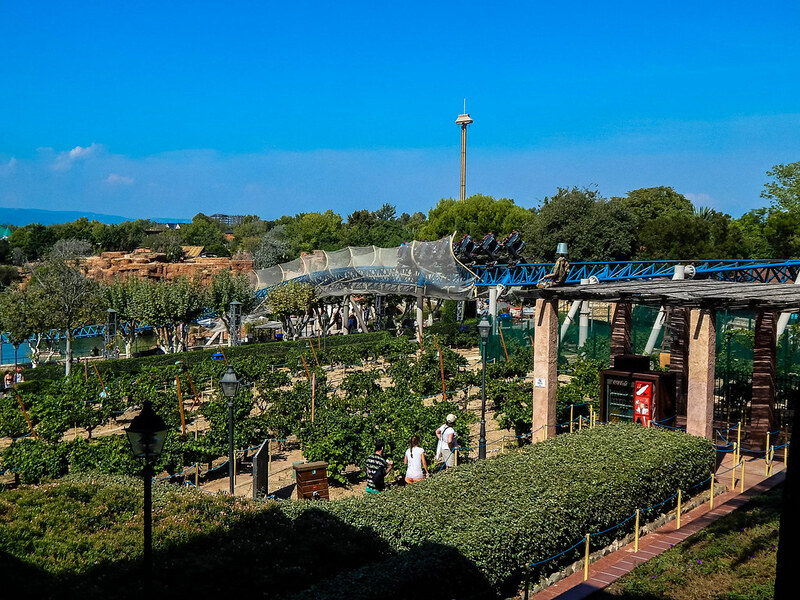 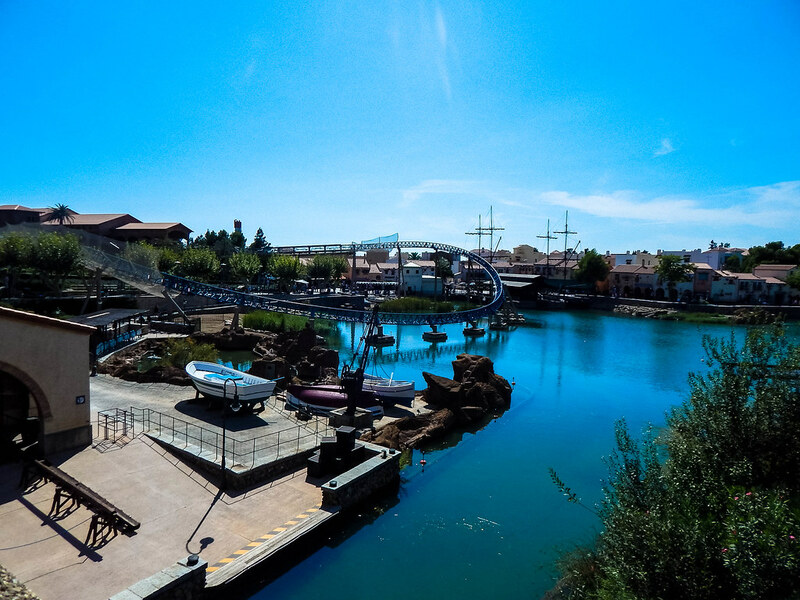 PortAventura is possibly one of the biggest and most popular theme park resorts outside of Disney and Universal. 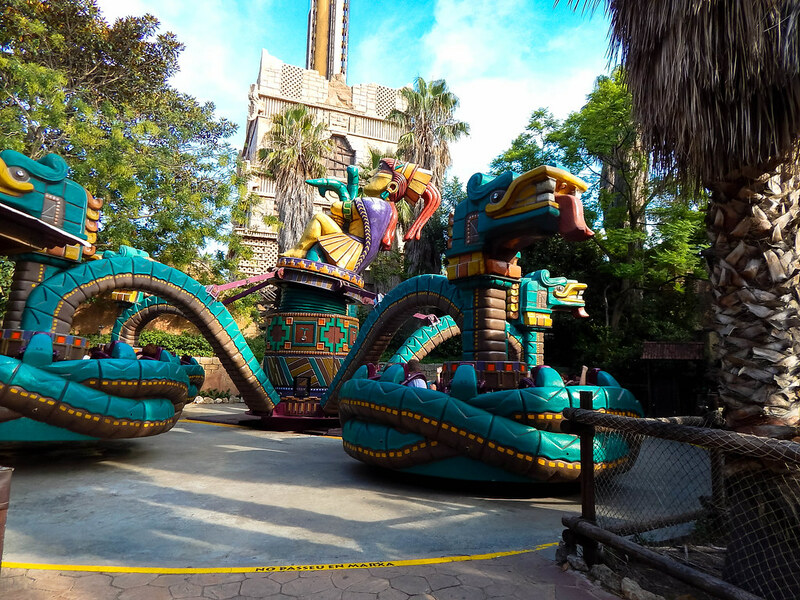 The attraction welcomes millions of guests each year and is home to a huge theme park, a variety of hotels and also Costa Caribe, a major water park. 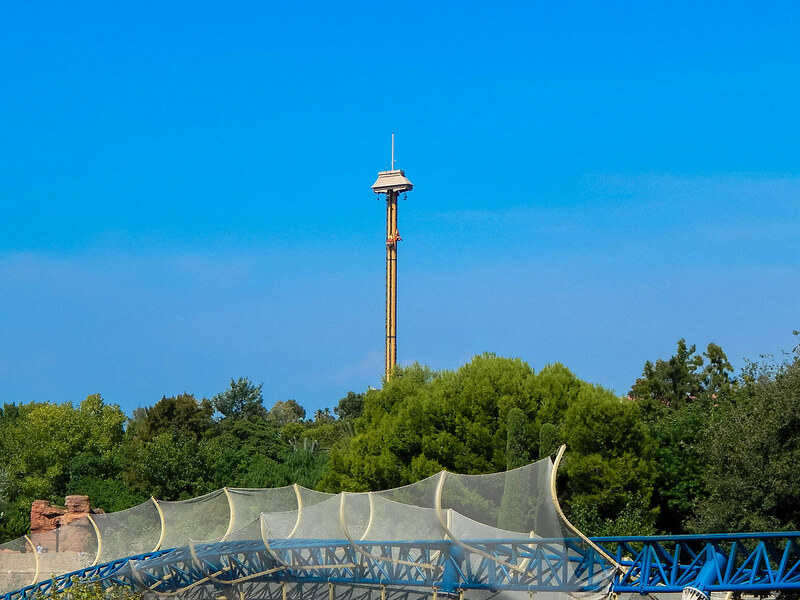 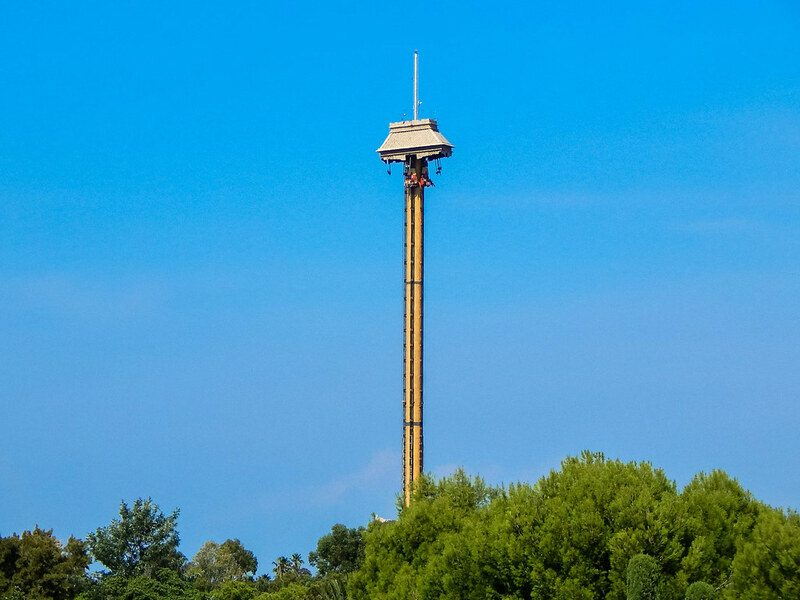 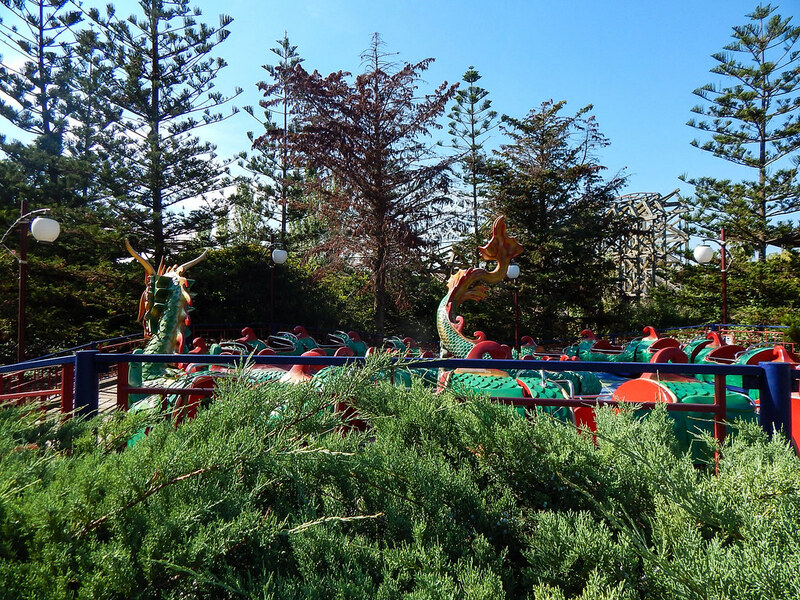 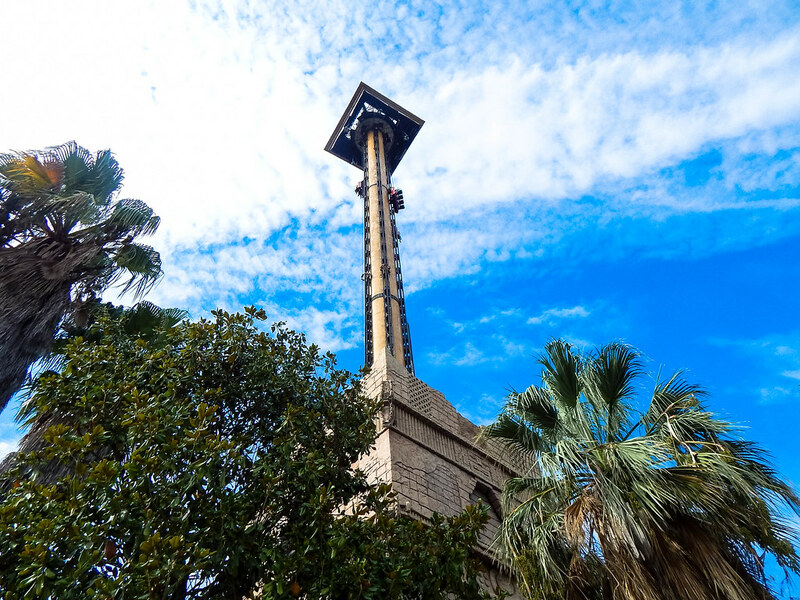 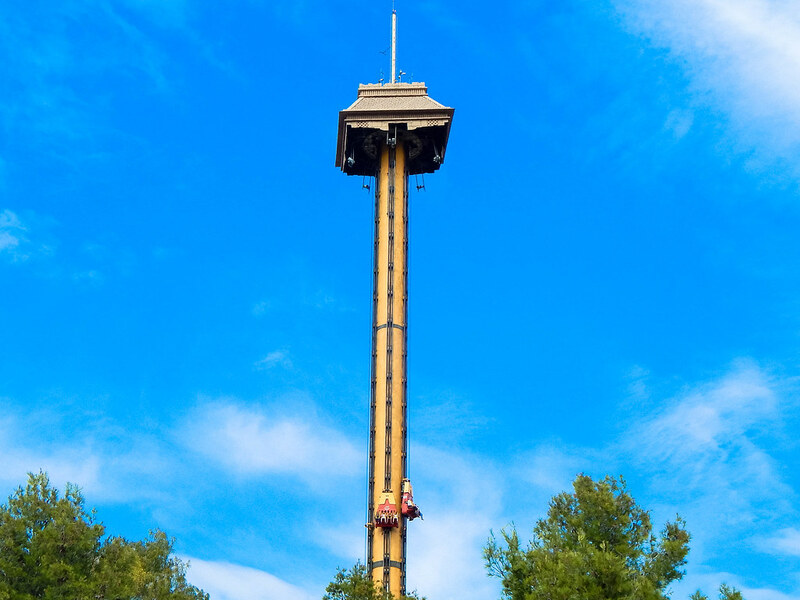 The park is conveniently located just over an hour from Barcelona, as well as having the buzzing town of Salou near by. 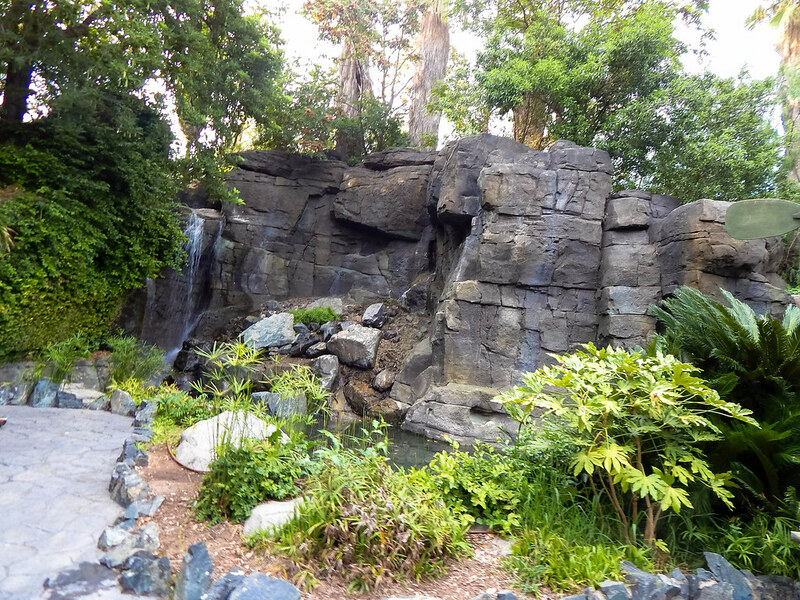 We were lucky enough to stay in the parks Gold River Hotel, which was a fantastic experience and was less than a few strides to the main park. 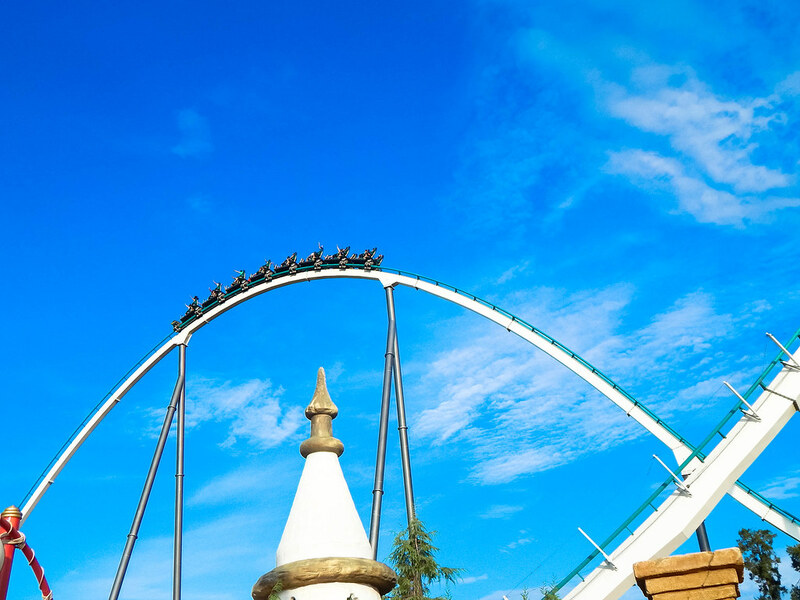 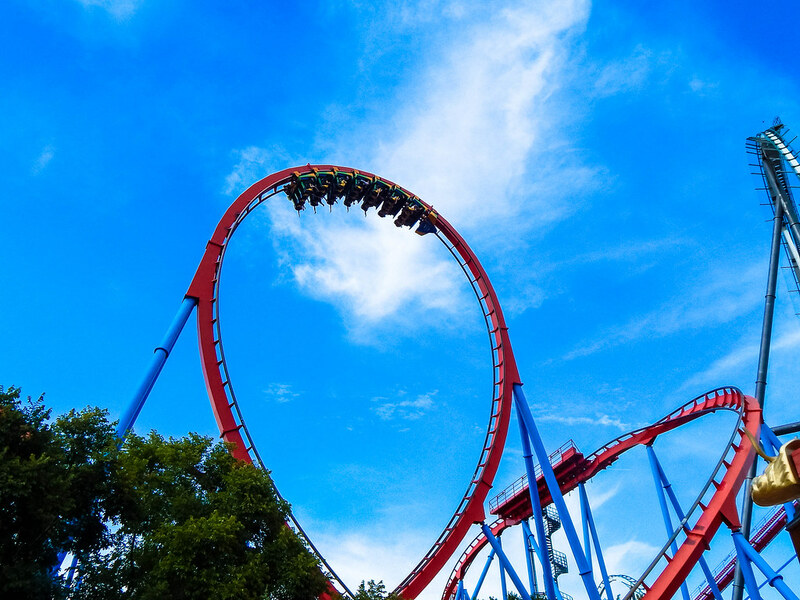 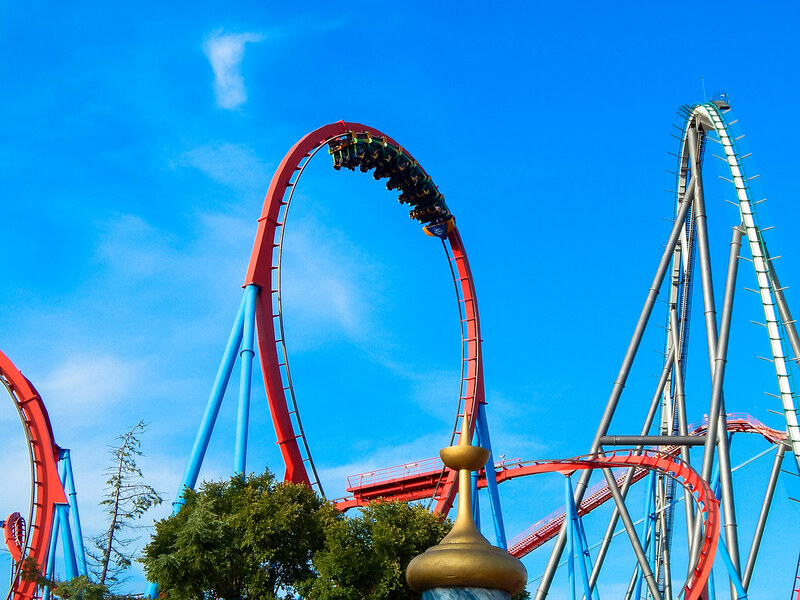 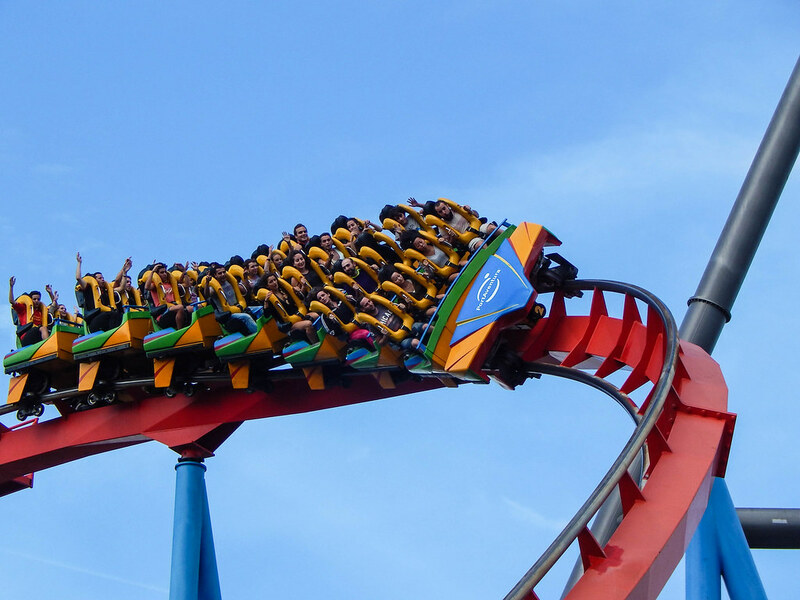 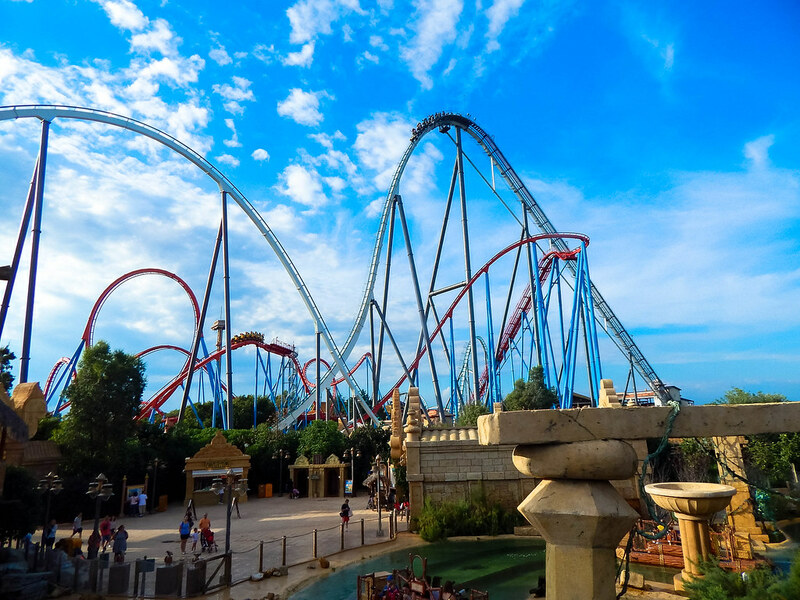 PortAventura theme park is home to a huge variety of rides, roller coasters and shows that makes it a truly fantastic place to visit. 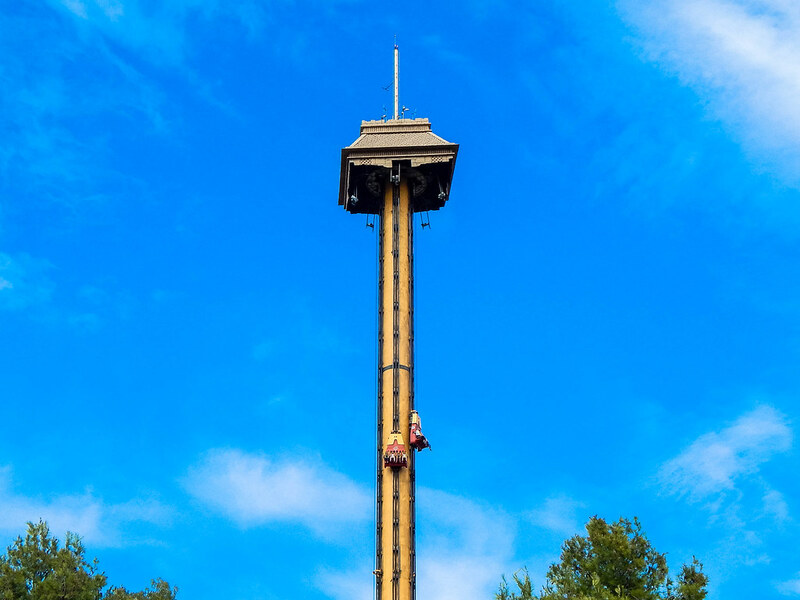 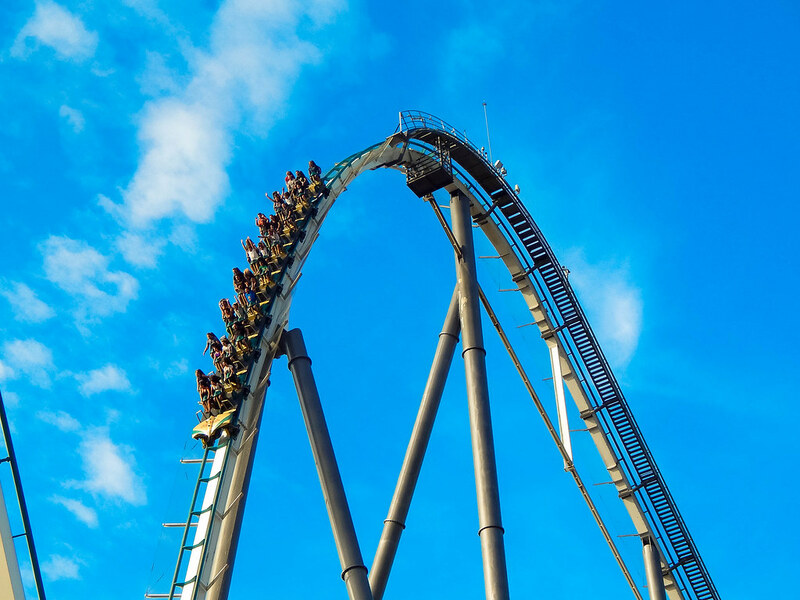 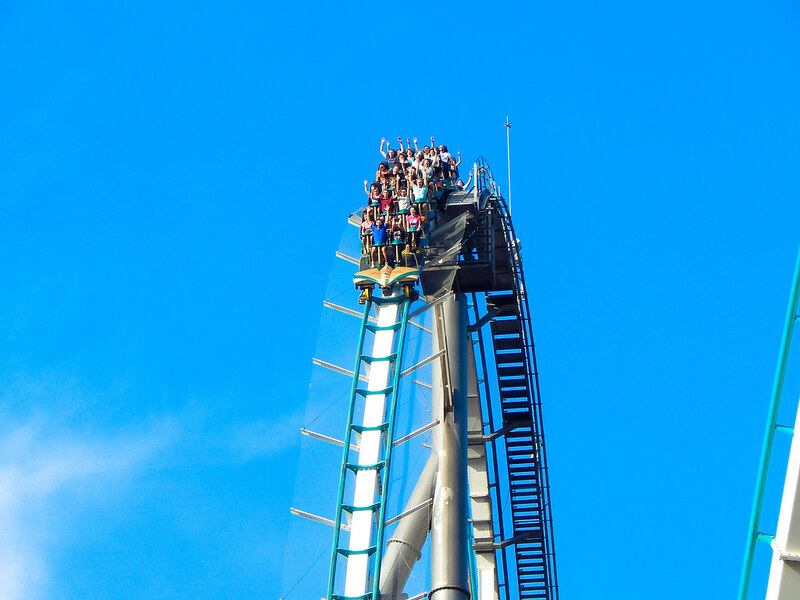 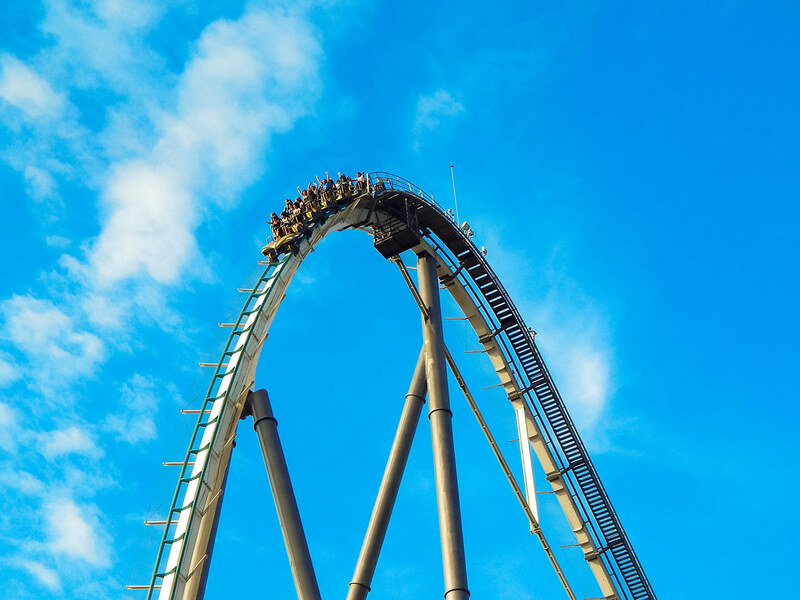 There are some of Europe’s biggest thrill machines on offer, these include; Shambala, Europe’s tallest roller coaster and is a seriously incredible ride; Dragon Khan, an intense looping roller coaster; Furious Baco, one of the fastest launching roller coasters in Europe and finally Hurakan Condor, a 300ft sweat inducing Mayan drop tower! 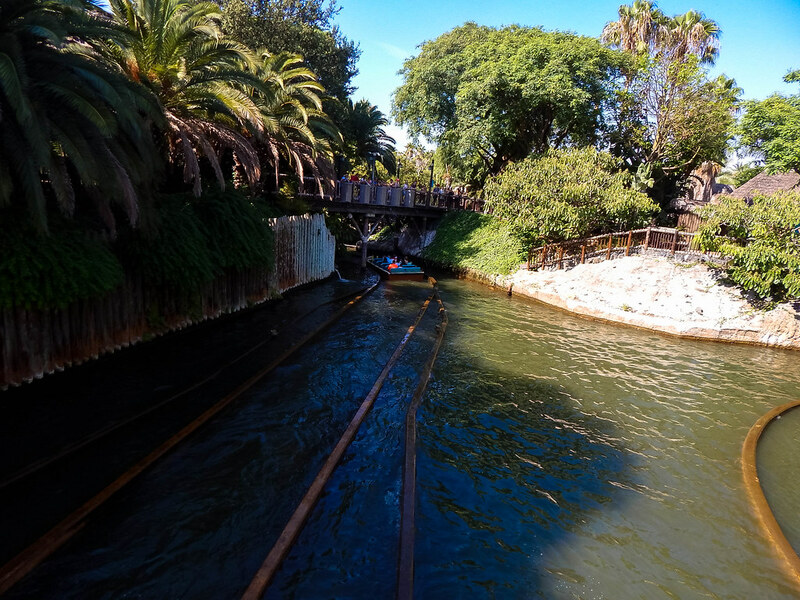 When enjoying the Spanish sun the park has a fantastic array of water rides. 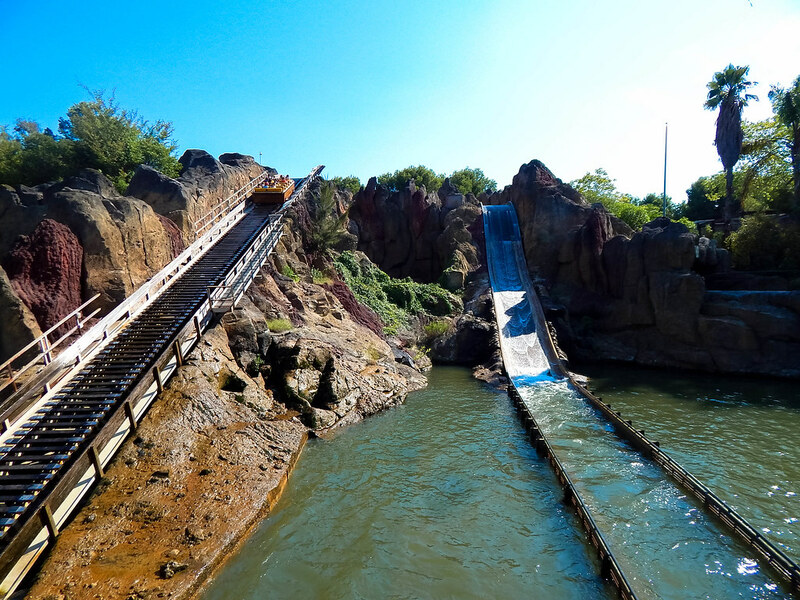 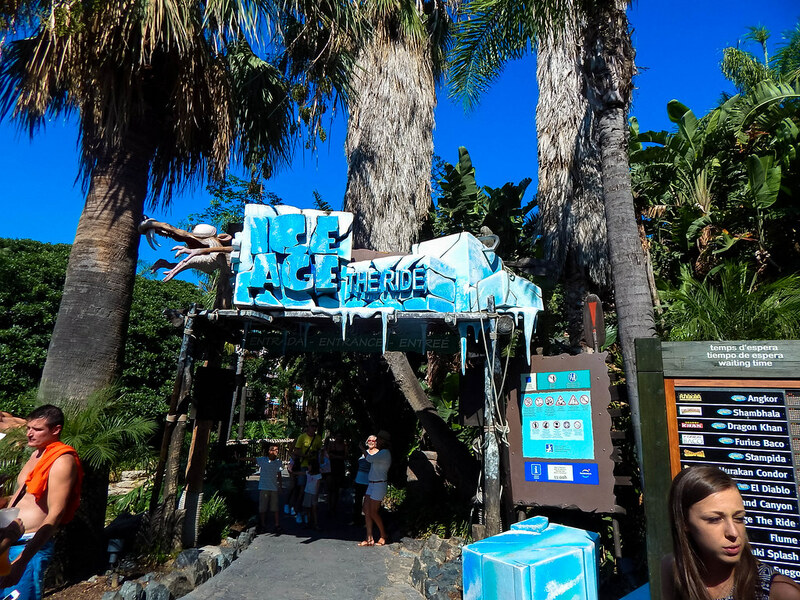 Take the plunge on Tutiki Splash, Silver River Flume or the fantastic Grand Canyon Rapids. 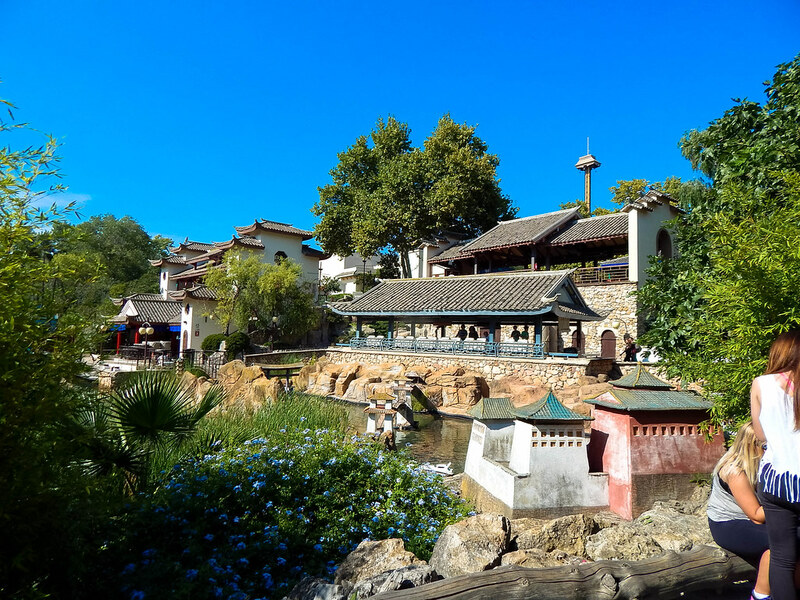 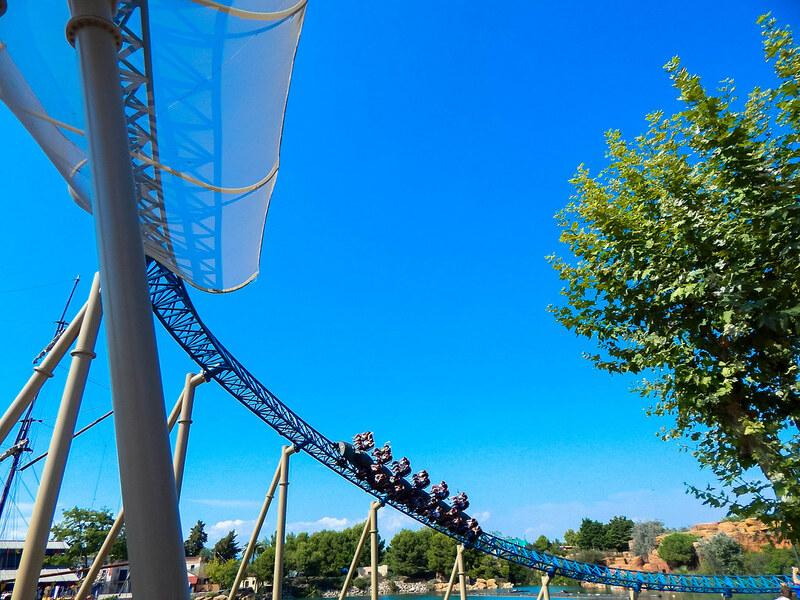 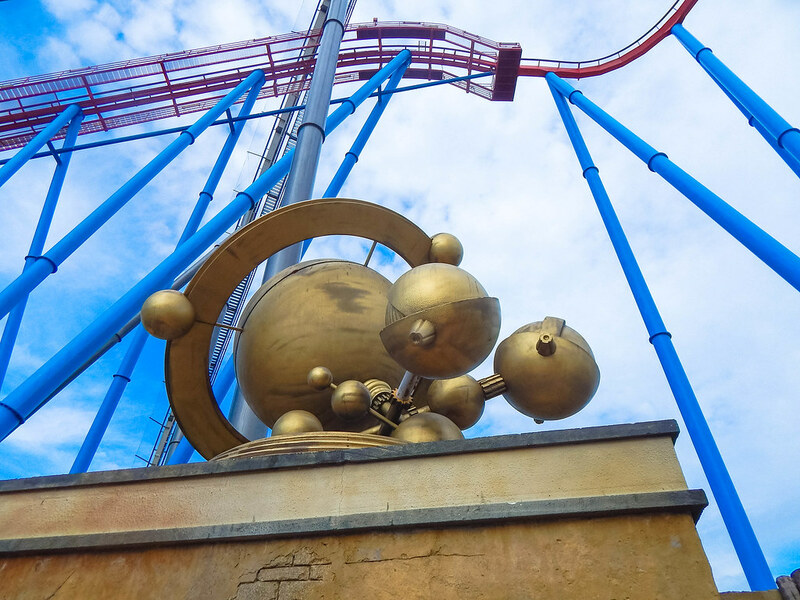 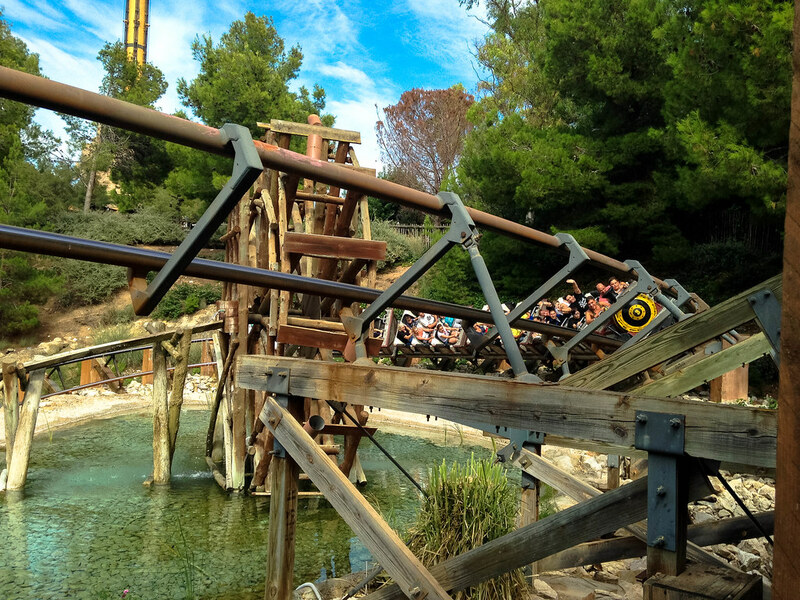 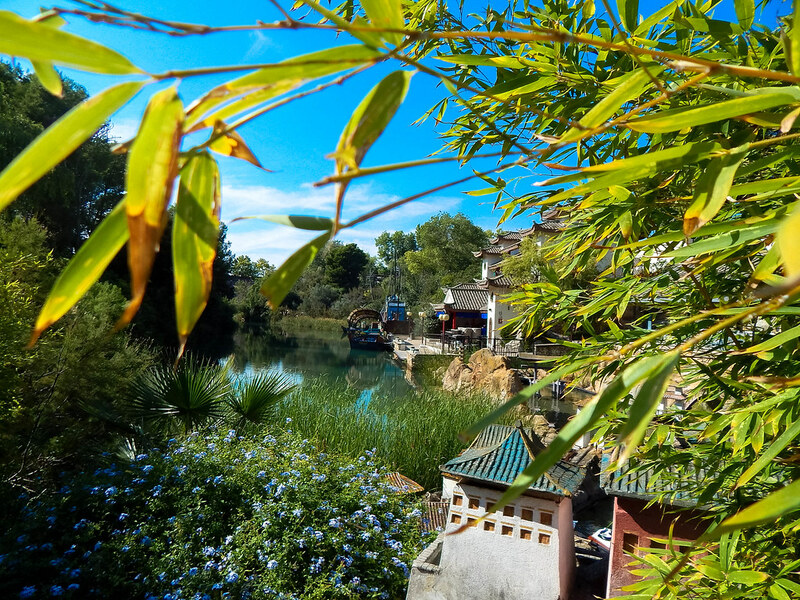 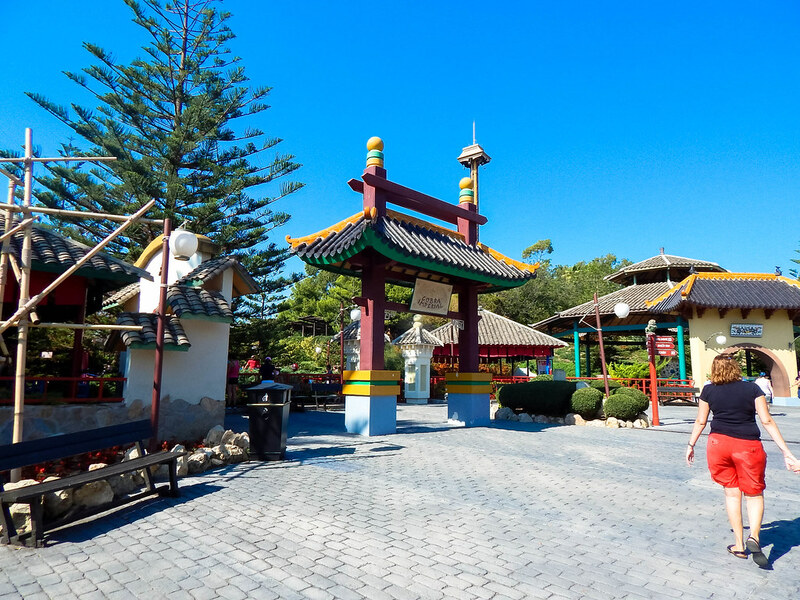 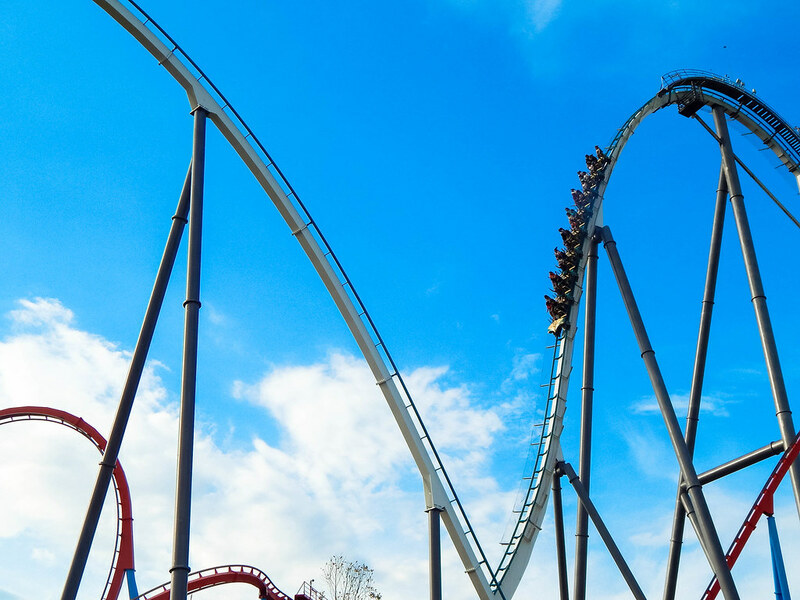 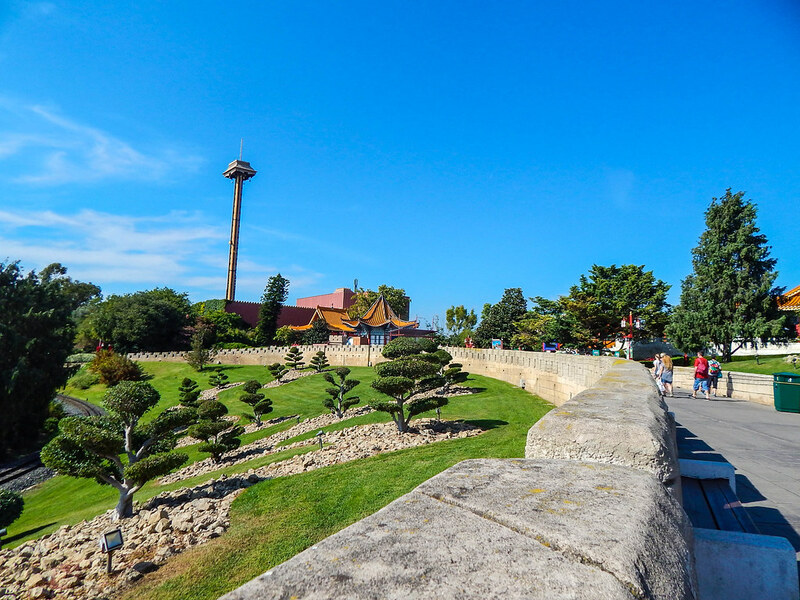 Going back to Shambala, it is seriously one of the best roller coasters we have ever ridden and is worth visit PortAventura just do have a ride. 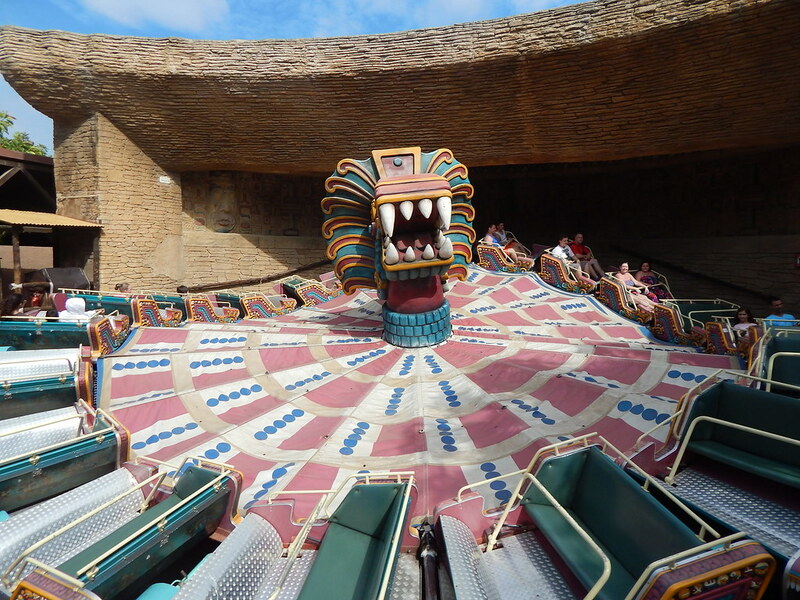 There are loads of thrilling family rides for everyone to enjoy. 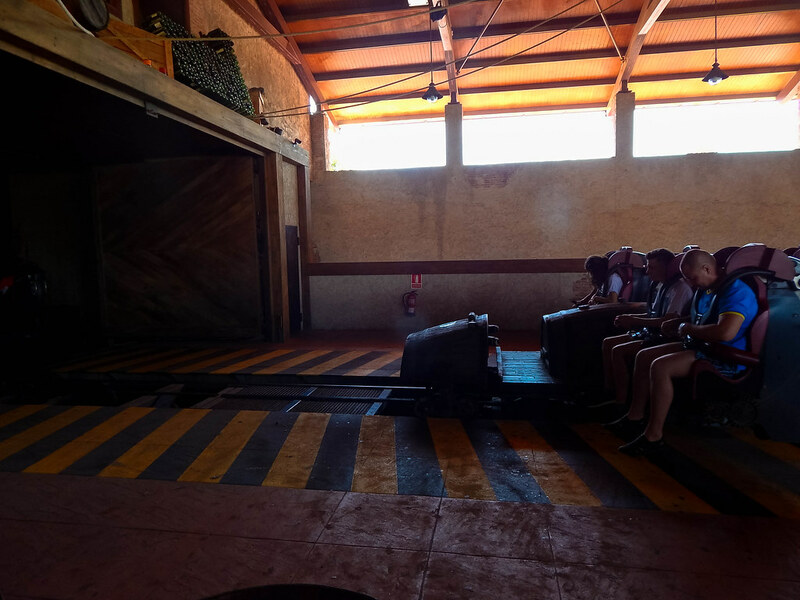 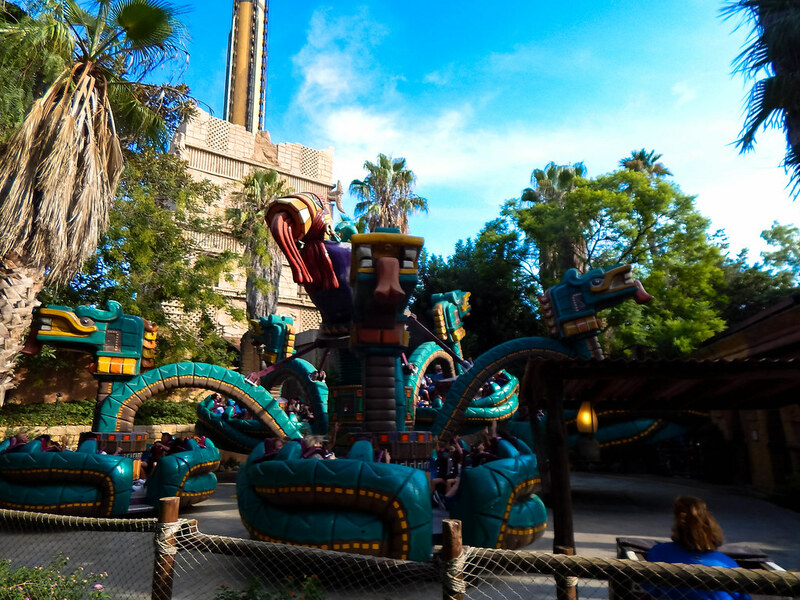 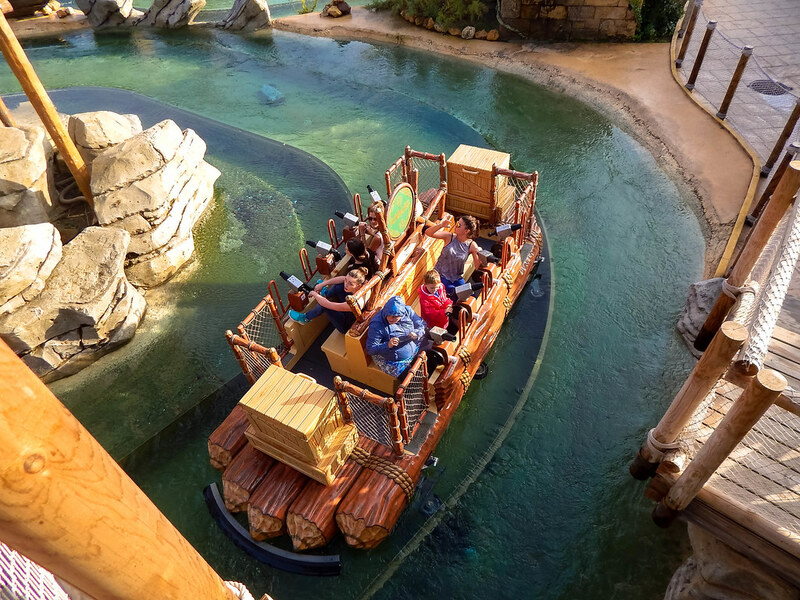 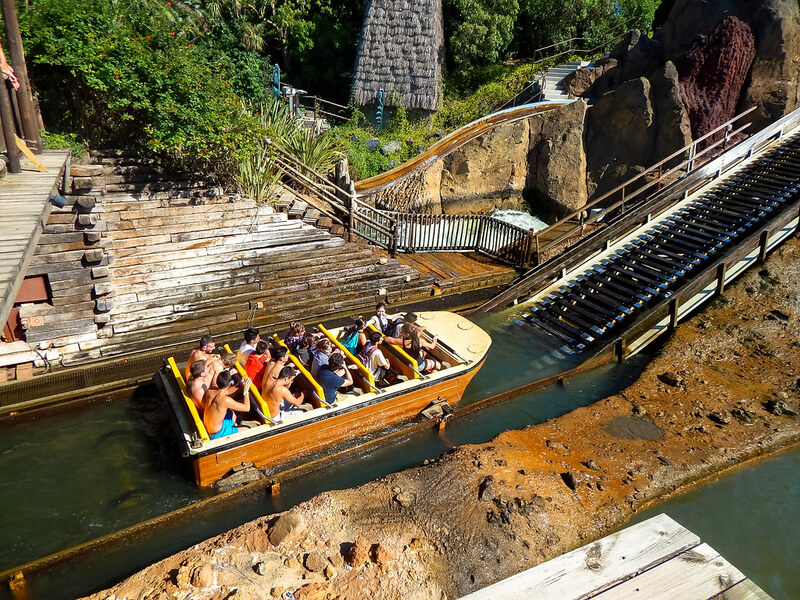 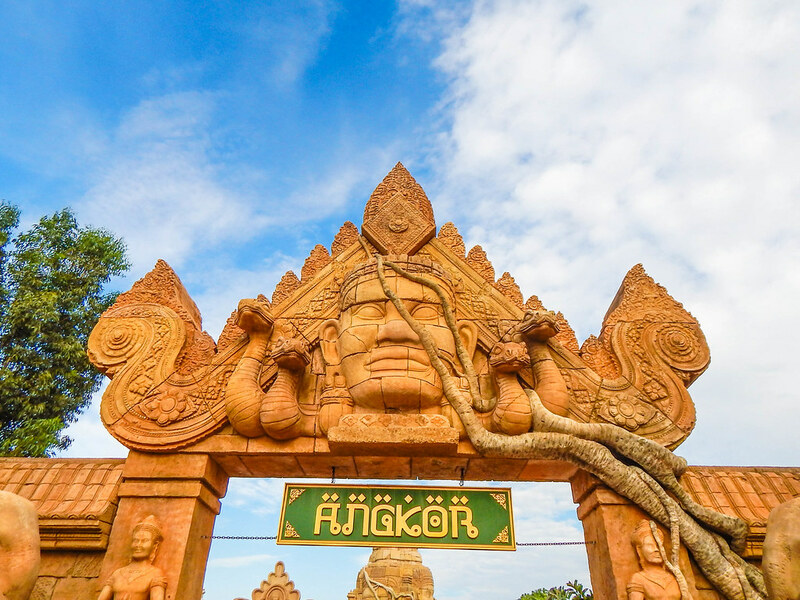 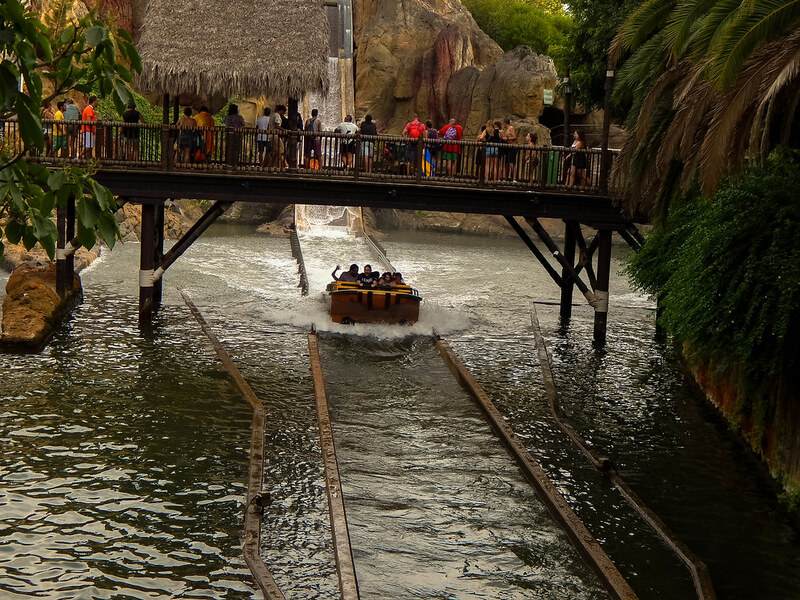 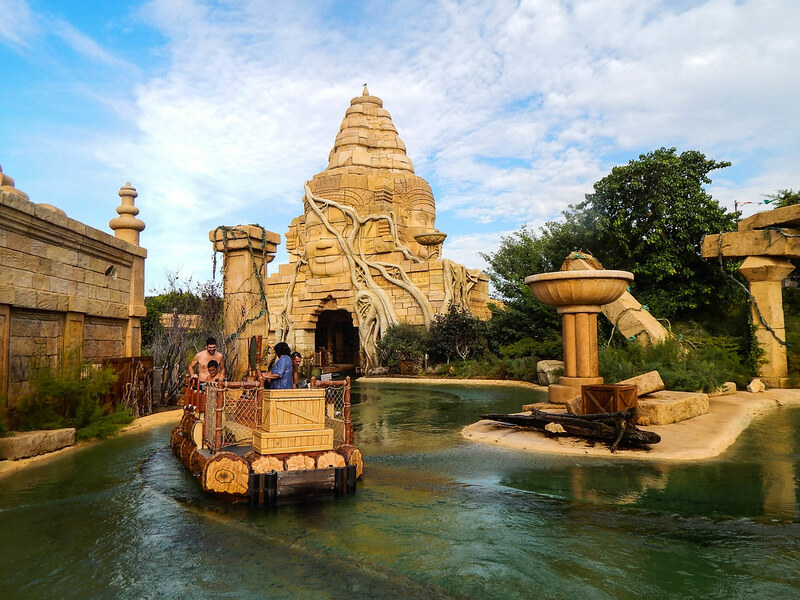 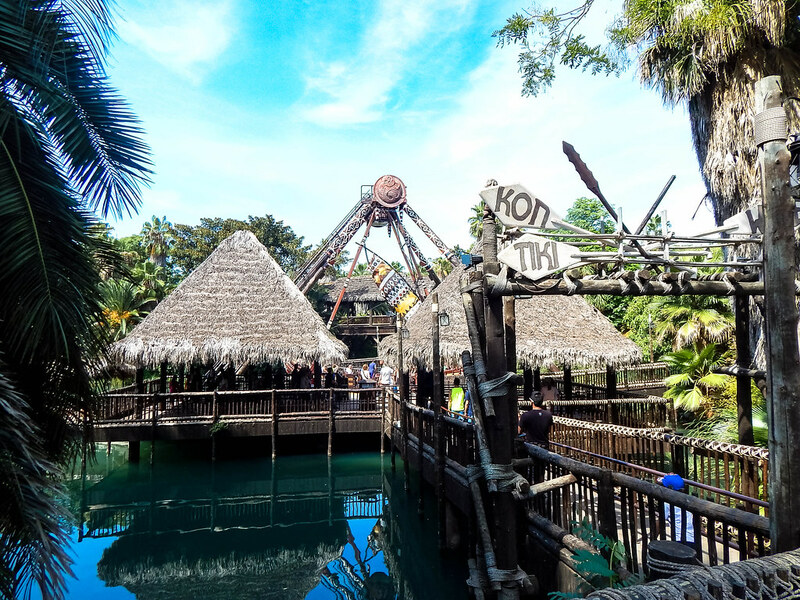 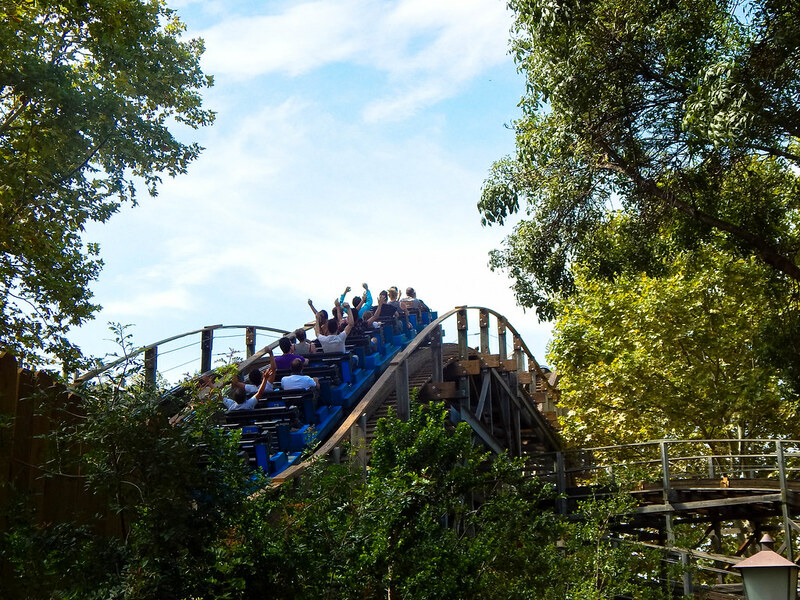 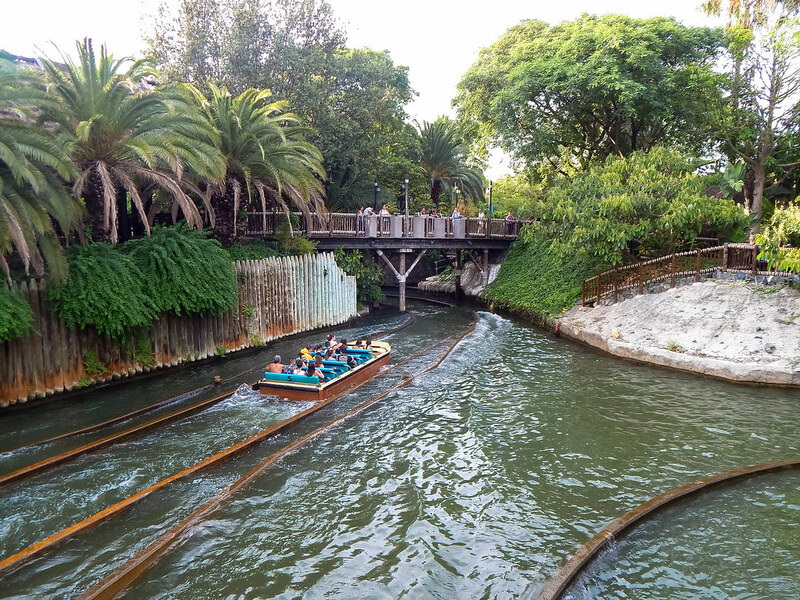 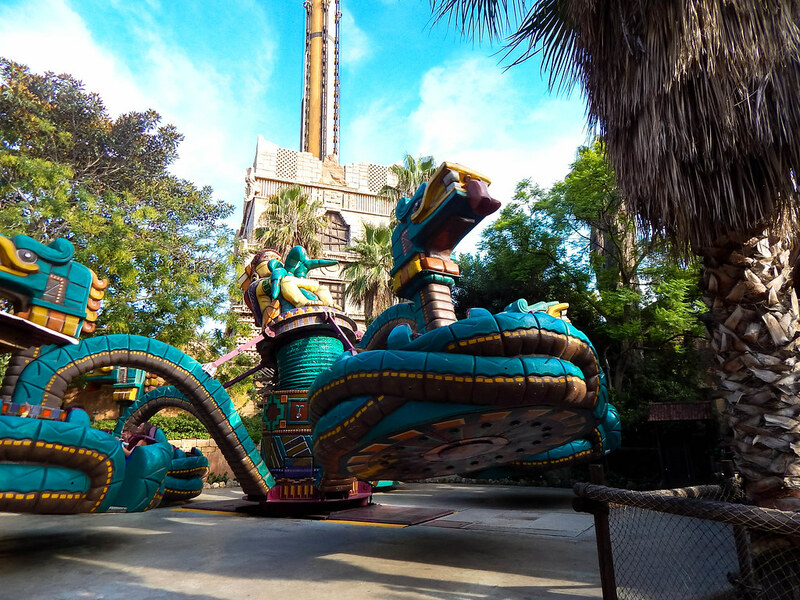 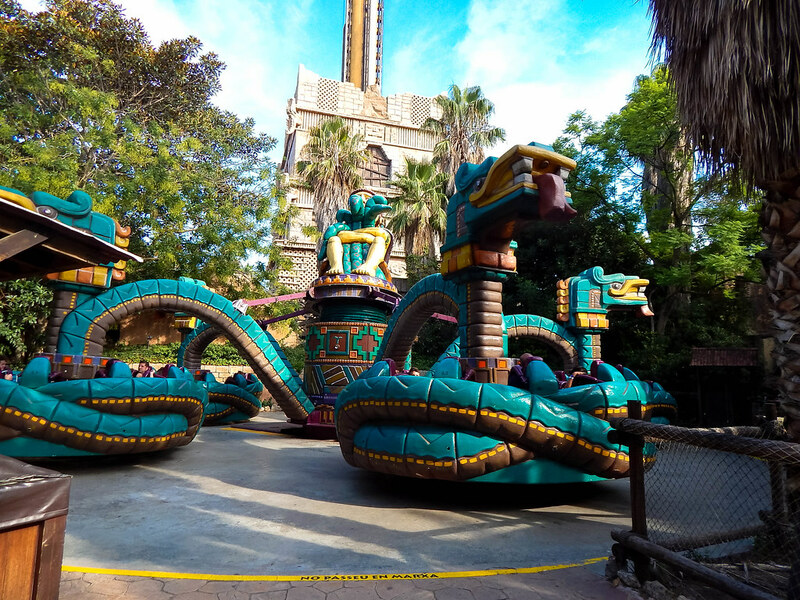 Some of our favourites included the awesome El Diablo: Tren De La Mina, the racing wooden coasters Stampdia and the impressive new ride Angkor, a beautifully themed splash battle ride. 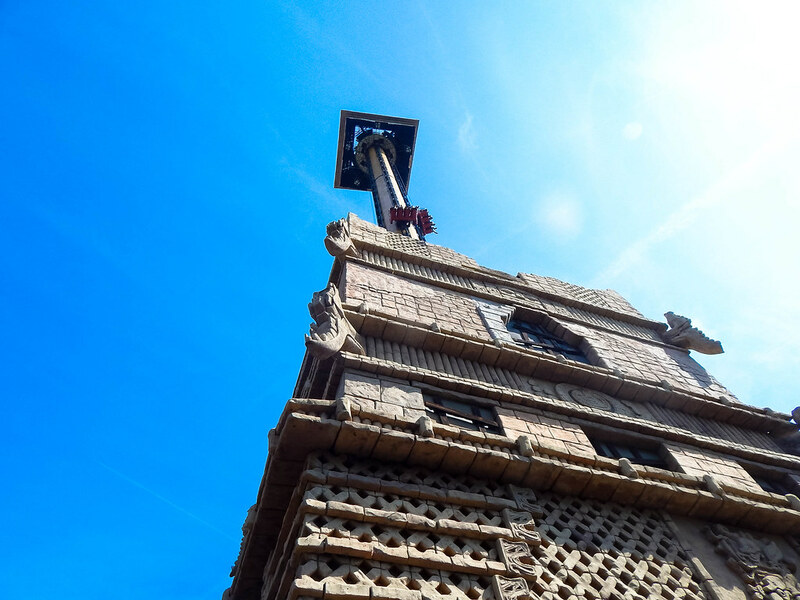 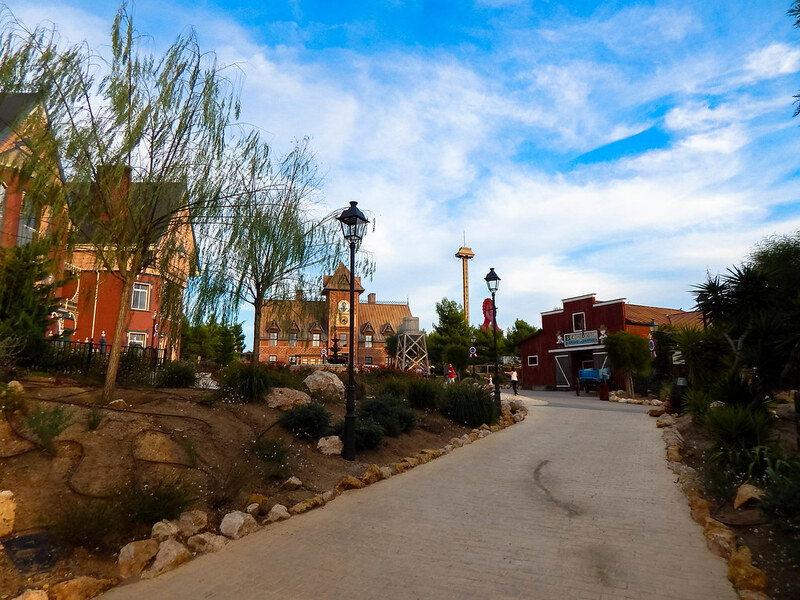 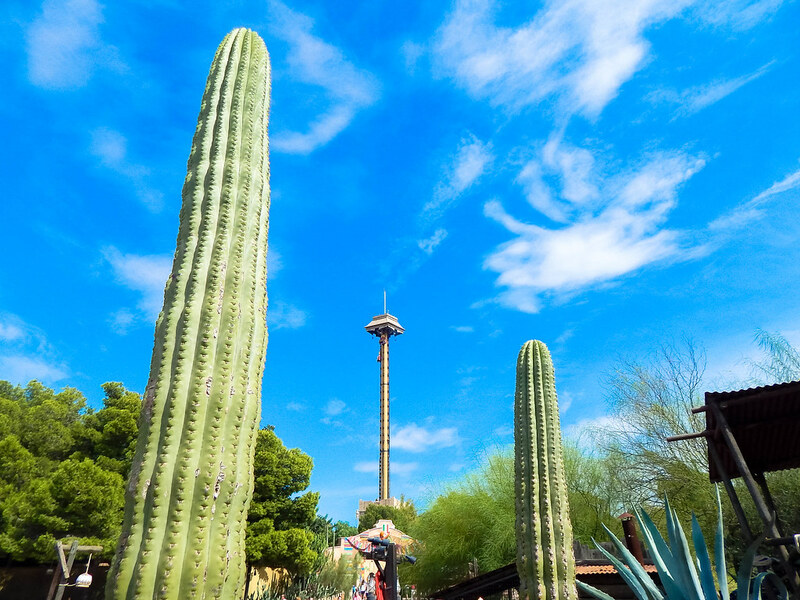 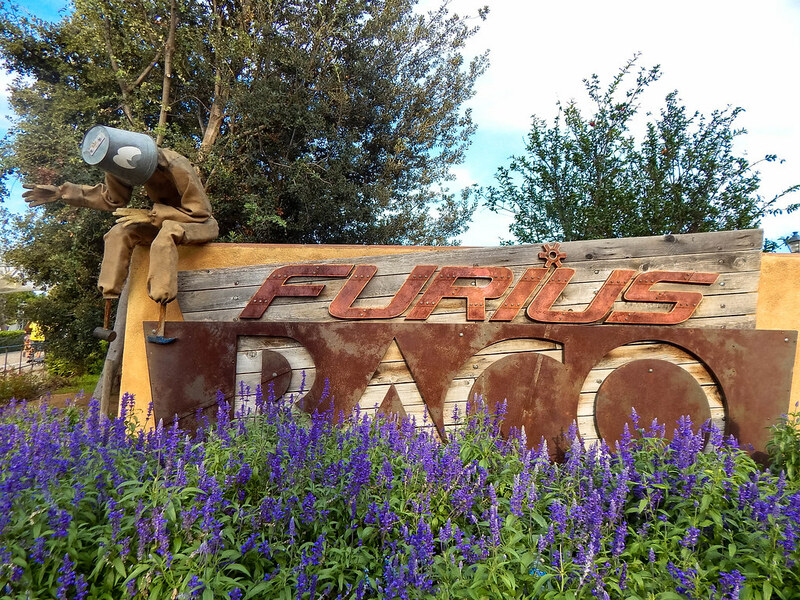 Another reason for visiting PortAventura is the fantastic shows including Bubblebou, The Old Wild West show as well as the impressive Temple De Fuego. 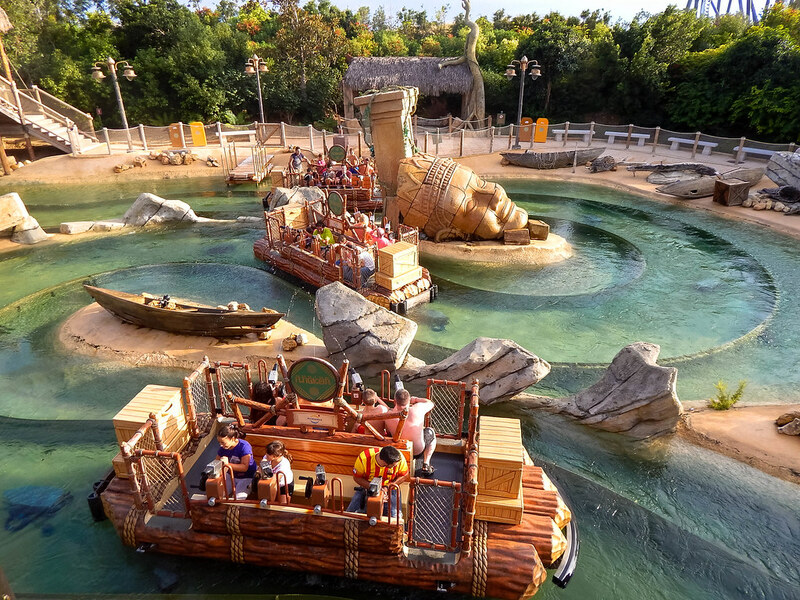 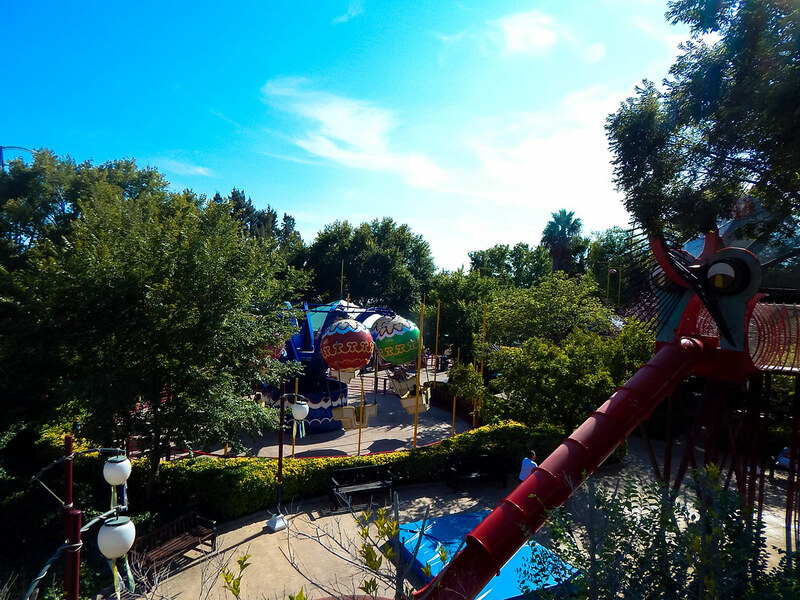 For the kids, there is the fantastic Seasmo Aventura, which is a land totally dedicated to the wacky world of Sesame Street. 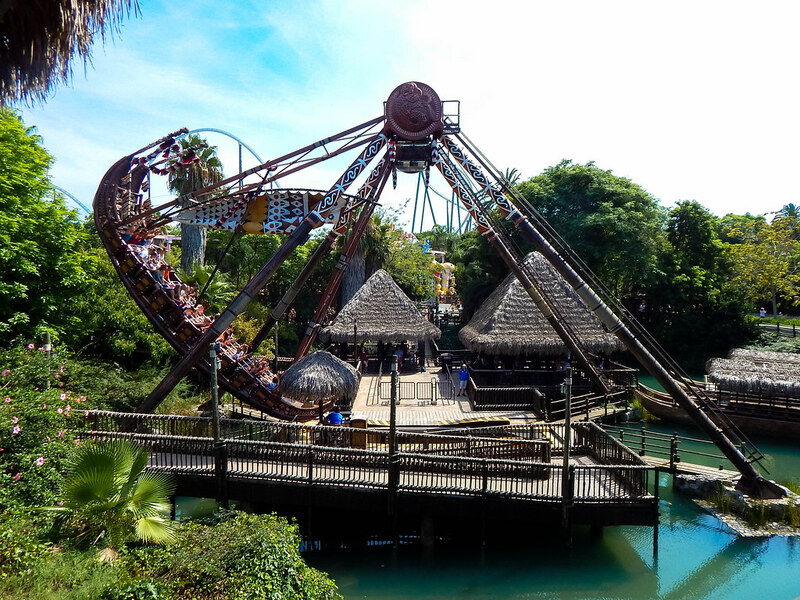 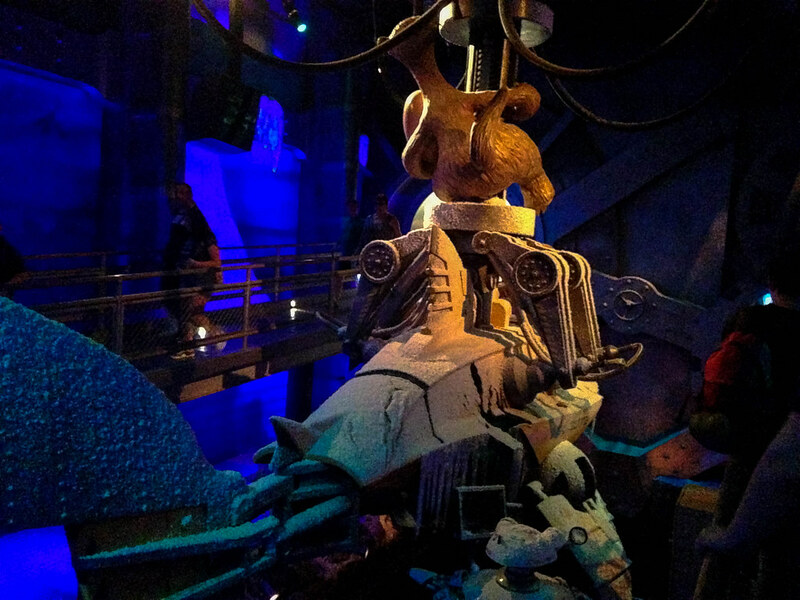 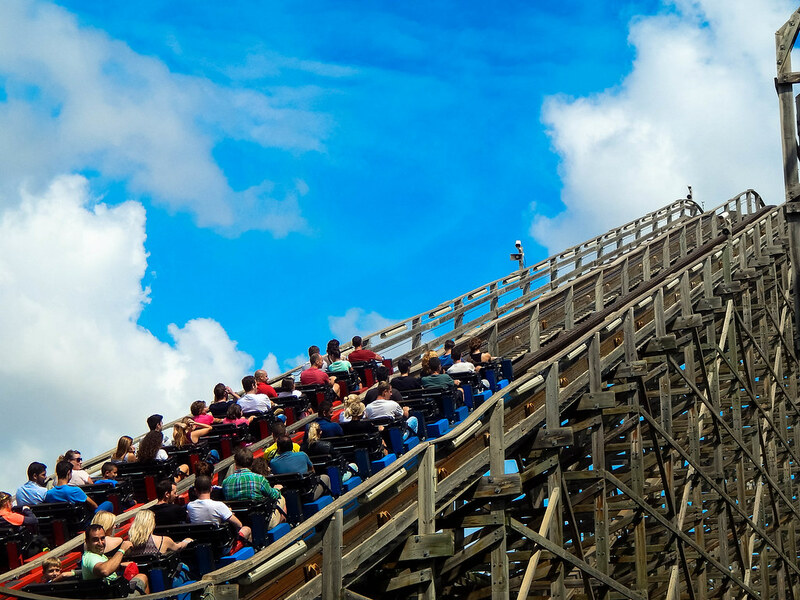 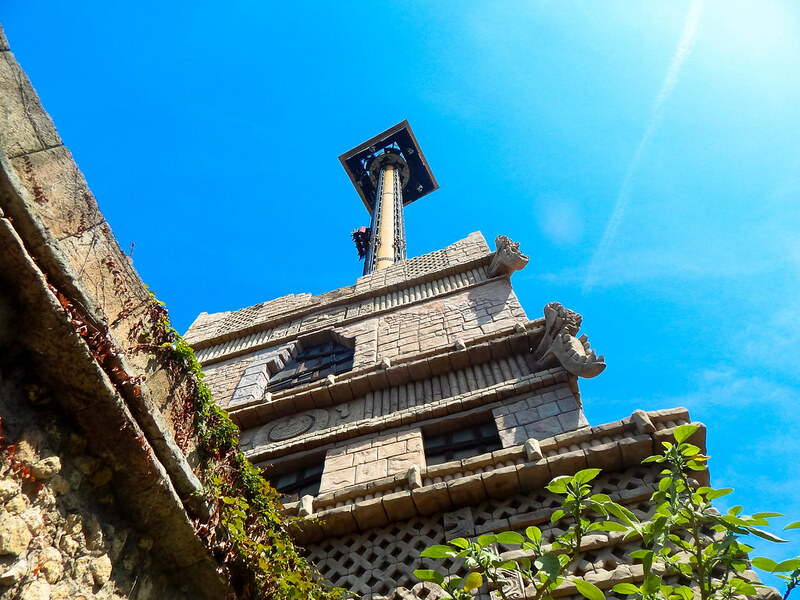 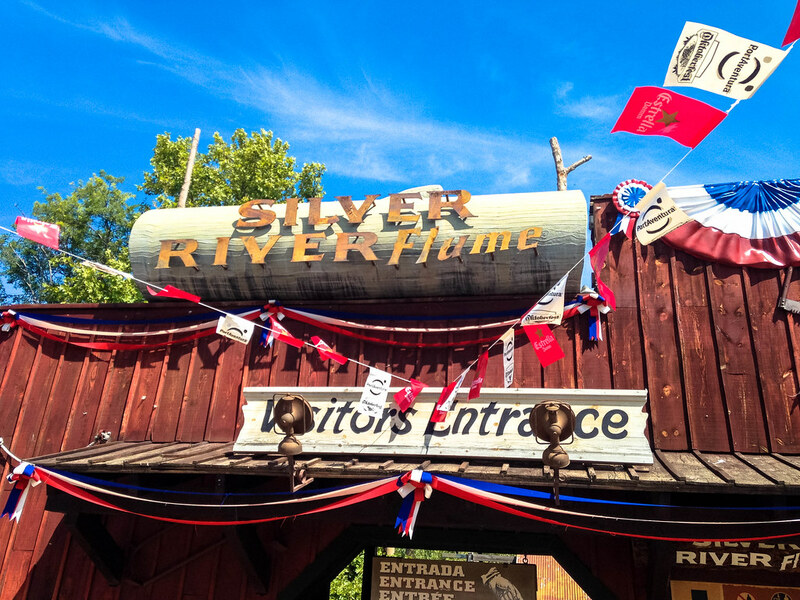 We had a fantastic visit to this wonderful theme park, and we cannot recommend it highly enough! 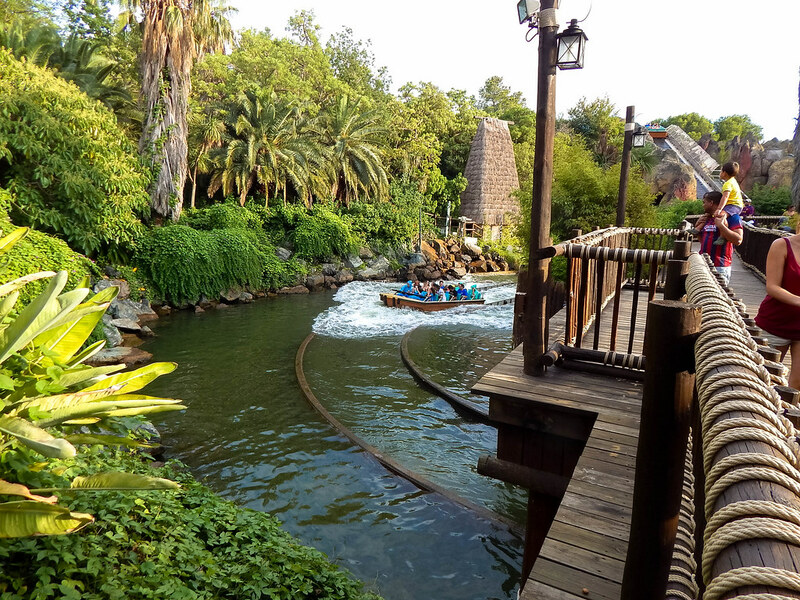 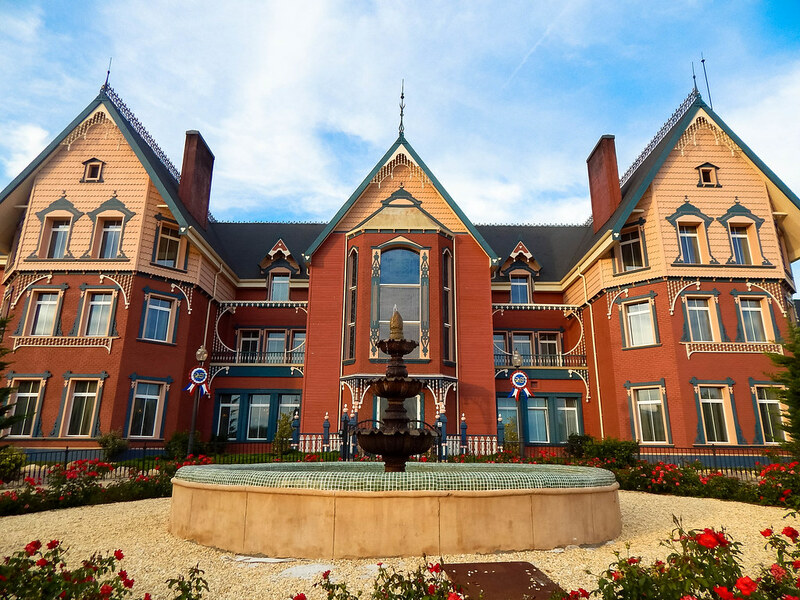 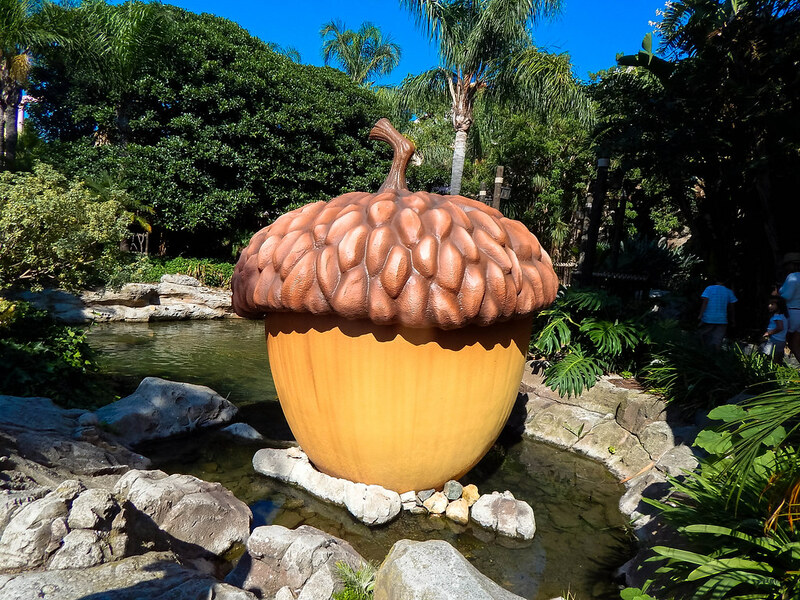 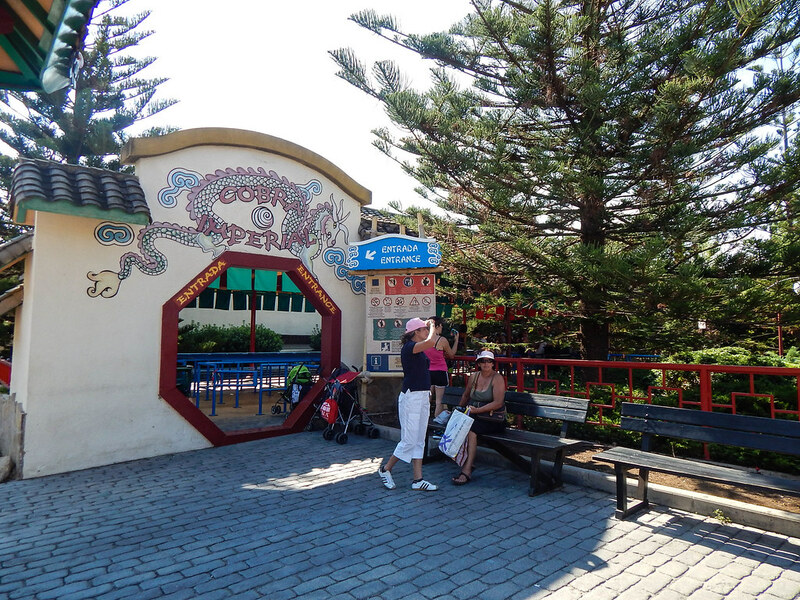 There is so much to see and do at the resort, you will need a few days to get around everything. 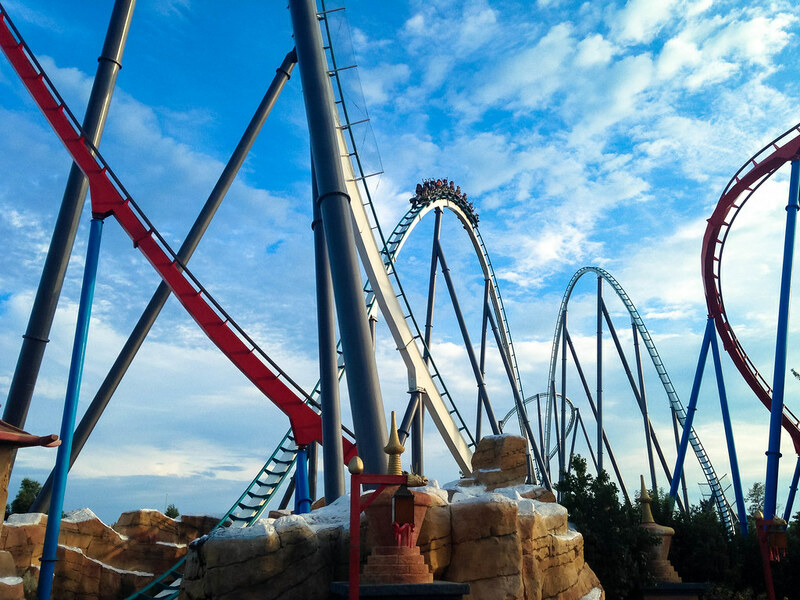 Ferrari World is joining the line up on attractions in 2016, giving you yet another reason to visit the resort!